Travel the way you want. Flexible. No complicated itineraries, but be guided by where the day takes you. Relaxed travel. 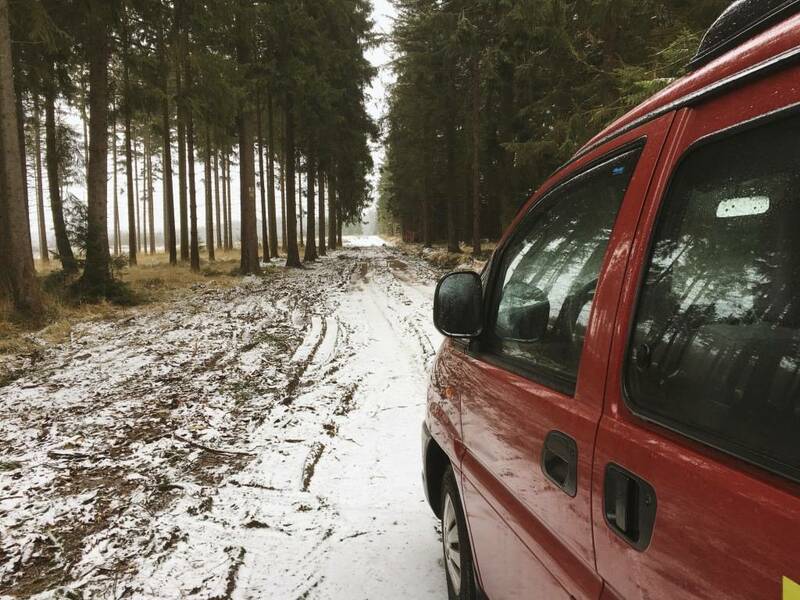 On the beaten track or even off ... You're independent, for transport and accommodation are always at hand. Home is where you park it. 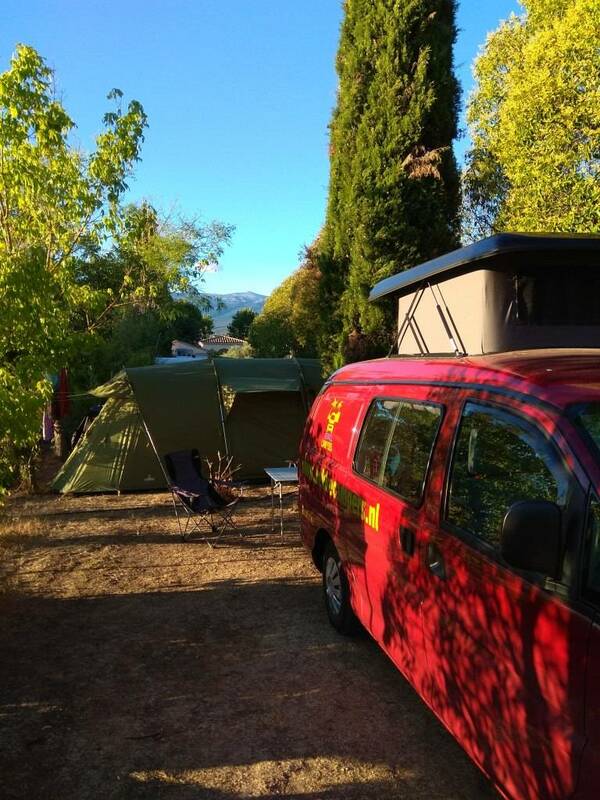 You're going on an adventure, but our well equipped camper vans make sure you can camp comfortably. They are also the handy size easy to steer and parking is no problem. Grab that opportunity too! 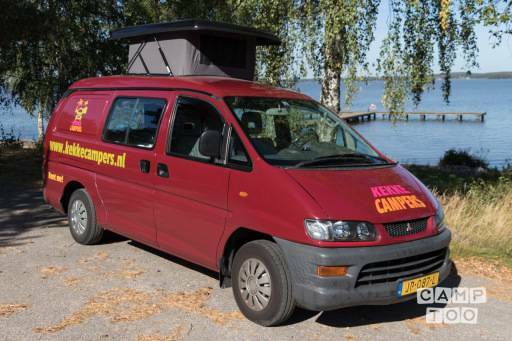 Hire a funky campervan and drive in freedom! Mitsubishi L400 van is a reliable type. He has a diesel engine, a fuel capacity of 45 liters and a manual gearbox with five gears. Power is provided, as is a radio-CD player with iPod / iPhone connection. Navigation equipment is optional. Front of the bus there are three seats. In the back there is a bed of 200 x 150 cm, which can be converted into two large sofas and a table. Among the banks has enough storage space to easily store all your stuff. When you open the tailgate you stand in a well-equipped kitchen with a two burner stove connected to a gas cylinder 5 kg, with a basin sink, one tank for clean water and one for dirty water tank and an electric cooler 25 liters. The kitchen has cooking utensils are available for three people. • Three chairs and a table so you can sit outside. • Power cord 20m with camping plug. • Connector Block with three connections. A TomTom navigation system with an up-to-date map of Western Europe is optional. For an additional charge of € 40, you can put your whole holiday use. Finally, we know from experience that the day you pick up your camper van is a busy day. And what could be finer than a stocked cooler at departure? We have compiled some shopping packages, making you come into holiday mood. Let us know if you want to use here.